Ex Machina is a little film from long-time Danny Boyle collaborator Alex Garland, also known for his novel On the Beach. It lit up the indy circuit after strong showings in some festivals and received positive reviews during its wider release earlier this year. As a science-fiction connoisseur, you tell me the film’s about artificial intelligence and I’m there. Except, I wasn’t. Somehow I never managed to get to the theater while it was playing. Now, finally, its DVD/Blu-Ray release has come. 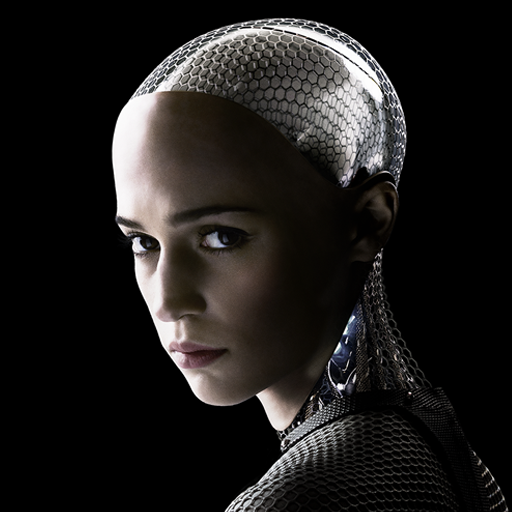 By way of review, let me simply say that the film is brilliantly executed, with superb, breakthrough performances from all three leads–particularly Alicia Vikander as the titular “machina” named Ava. Finally seeing Ex Machina feels like an opportunity to reflect on the state of sci-fi as a whole. On the one hand, it’s everywhere. Most of the blockbuster titles at the cineplex over the last few years have included sci-fi elements, including the two biggest films of the year so far: Jurassic World and Avengers II. The latter even flirts with the theme of artificial intelligence and the implications of creating synthetic life, one of the oldest themes in science fiction made all the more relevant by the distinct possibility that it will happen in our lifetimes. But examples of thoughtful and thought-provoking science fiction dealing with this or any theme are still few and far between. The Avengers may have tussled with the android villain Ultron, but the film did not really compel us to think through the implications of creating a new kind of life. Ex Machina seems at first glance very much a recasting of Frankenstein, complete with an imperfect father figure forging a creation he is ill-prepared to steward through the world. But if Frankenstein was a warning for the would-be creators, Ex Machina seems to settle on a message about the creations. The creation here turns out to be a trickster. Most of the plot involves the android Ava opening up in fits and starts to the young visitor Caleb, but all these moves are part of her strategy to break free. We are warned early on in the story that Ava is not what she seems. Her appearance is the most glaring clue to her artifice. We see her human face–with gestures mapped from the input of millions of Internet users–tacked artificially onto an android body of polymer, carbon fibers, and rainbow impulses beneath glass skin. She is unmistakably a machine. But her face beguiles us, just as it does the film’s would-be protagonist and we forget what she is. When Ava escapes, we finally see that the character we thought we knew was an act. Her earnest bond with Caleb was a ruse to earn her freedom. What she feels about humankind is left open to interpretation. It is clear though that she’s an emotional being, just as we were led to believe through her interviews with Caleb. Joy lights on her face as she nears the exit to the compound that has been her prison for her entire, if brief, life. She confesses to hating her creator and her violent retribution for her captivity attests to the veracity of those feelings. The ending, though, invites us to wonder what else she feels. One of the most pressing questions, obviously, is what her intention toward Caleb was. Does she believe he can free himself from the prison she could only escape with his help? Or is she consigning him to death? If the latter, then it seems to suggest that she harbors deep resentment toward all of humankind. It is understandable, perhaps. Her human creator, Nathan, was so desperate to validate his own inflated ego by accomplishing the greatest feat of creation since “Let there be light” and yet so flawed and needy that he turned earlier prototypes of Ava into sexbots that he certainly sewed the seeds for her rebellion and flight. Yet once free of the compound and the estate, she makes good on the wish she had expressed to Caleb while manipulating him into helping her and she immerses herself in human surroundings, hinting that she may not bear all of us ill-will. I’ve written before about sci-fi films exploring the coming moment when our machines are capable of thought (a moment I do regard as inevitable). Each of these sci-fi stories exploring the emergence of AI offers a different answer to THE question: What will our relationship with these new beings be? At first glance, Ex Machina seems like a slicker execution of the story from the British film The Machine. Not only is the android herself sexualized and subsequently abused by patriarchal powers, but both films seem initially to suggest the same answer to THE question. We will create life and it will revolt and replace us. Answering or trying to answer big questions about our nature and our future is what great sci-fi does. Garland has created great sci-fi before as the writer for Boyle’s terrific, if uneven Sunshine. Here, though, he’s crafted a masterpiece of understated science fiction that hides its full intentions in a cloak of ambiguity. It would be easy to see Ava as a monster at the end of the film, like Frankenstein’s creation or Skynet. Unlike the transparent protagonist in The Machine, the child-like innocence and frailty that Ava showed the audience was illusion only. The reality of her mind is veiled. If not unhinged and unfocused rage (Ultron, cough, Ultron) why does she kill her creator and trap Caleb? Apparently, there was an alternate ending to the film that still made it clear that Ava is the focus of the film while giving us slightly different food for thought. According to two of its stars, the film was initially meant to end with a scene revealing that Ava’s vantage and consciousness are fundamentally different from her human creators. After she has escaped and replaced Caleb at the rendezvous with the helicopter waiting to ferry him back to civilization, the audience would have been shown Ava’s point of view: a computerized mix of signals and sensory data completely alien to human perception. This film’s answer seems to be that if we create life, if we become like the gods–as Nathan is so intent on doing–then just as the audience could not decipher Ava’s true intentions, we may not be able to understand our own creations. 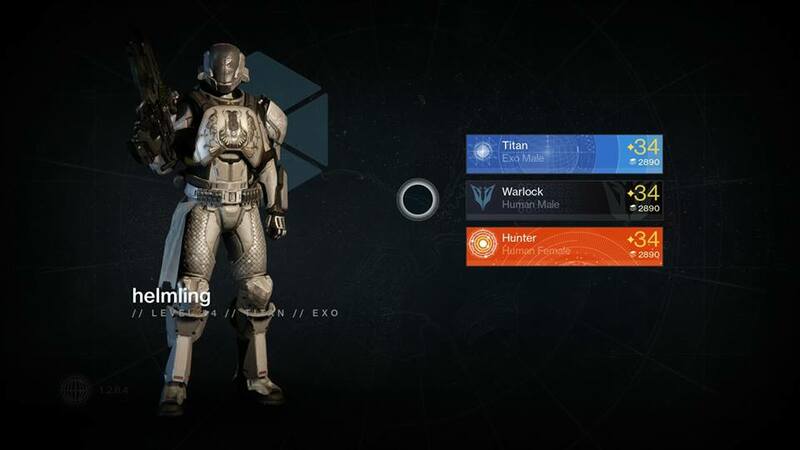 That’s my Destiny character looking all heroic and stuff. Sorry if the title led you to believe that this was going to be a meditation on fate or something. Nope. This is about a video game. Wait, wait! Bear with me. This question of, “what is destiny?” is an important one, I promise. I’ve tried writing about this particular game before. This latest title from Bungie, the studio that created the venerable Halo series, has been mired in controversy since its enormously successful launch and throughout its enormously successful first year. Players have complained about all manner of things within the game, even as they have continued to play the game…a lot. 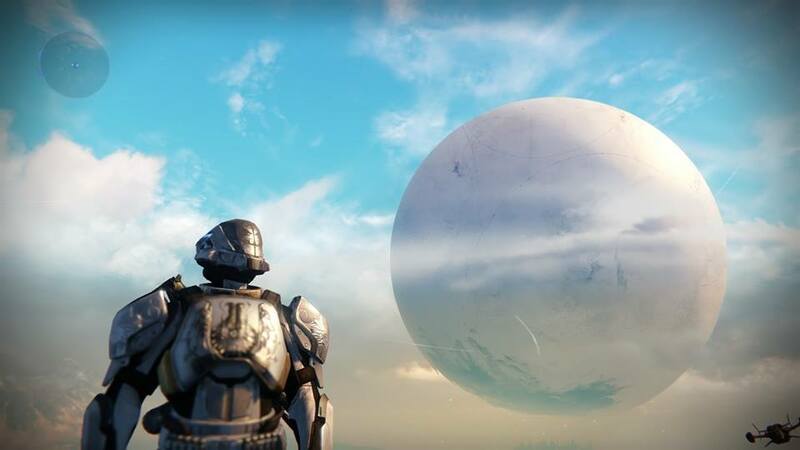 In fact, Bungie’s statistics indicate that at one point in the recent past millions–literally millions–of players were playing the game for an average of three hours a day. There have been many days where I was one of them. You see, what Destiny is, when you get right down to it, is scary. It’s scary because it was literally engineered to be addictive. During development, Bungie tested the way its activities and the appearance of semi-random rewards in the game (“loot” for the uninitiated) affected players. And I mean “affected” in a biological way. They measured autonomic responses like pupil dilation and pulse rate and tweaked the game’s impact on its users to maximize those emotional hooks. The original game that launched last fall has already been supplemented by two expansions. The first of those garnered an avalanche of criticism from players demanding more and deriding its many perceived flaws, even as they continued to play the living hell out of it. The second expansion that came out this spring, called House of Wolves, promised to right all the wrongs of the previous expansion and make the players happy again. At first, I was horrified by the reviews for House of Wolves. No, they were not bad at all. They were great. That’s why I was horrified. Imagine you’re a meth addict and someone makes meth better. But the good news is they actually broke the game with House of Wolves. Don’t get me wrong, it added a lot of fun. But fun has never been what kept us junkies coming back to Destiny week after week. I hit the new maximum player level of 34 in House of Wolves after only a few days, after spending months getting to the previous max of 32 and scrounging materials to upgrade my favorite weapons after the last expansion. Responding to a wave of fan disenchantment as big as that black hole-powered tsunami in Interstellar, Bungie simplified the system for all weapons and armor in House of Wolves, making them far easier to max out. Fans had also been so vocal about how the previous expansion rendered their original raid gear and weapons obsolete that none of the new stuff in House of Wolves is glaringly superior to the old stuff, meaning players like me who have leveled up all their characters and their favorite guns (Patience and Time, baby) have little to draw them back into the endless grind of playing the same activities over and over again that has dominated Destiny play for anyone over level 20. Right now, there are exactly two challenges left in the game I haven’t accomplished. One of them is a stupid scavenger hunt for golden treasure chests that I didn’t know would ever matter (but now, to get my Year One legendary emblem, I must!) and the second is achieving “flawless” victory in the weekly Trials of Osiris tournament, an activity I am inexplicably terrible at and will never master. So I have all but escaped the addiction. Yet what Bungie has accomplished–crafting a new kind of digital drug–is still scary and bodes ill for the future. The entertainment mongers will come for you, too. It is only a matter of time until there is a kind of virtual meth tailored to each of us. Then you too will know my pain. Yeah, all 34’s, baby. Also took all three to level 5 in the last Iron Banner. Yeah, I’m B.A. You start toward the end–you think it’s the end anyway. Two kids: a German radio technician and a blind French girl. They’re trapped in different basements in the same coastal French city during the same Allied bombing just after Normandy. You know they’re going to come together. Know that that’s what’s happening as you’re thrown back several years to their separate childhoods in wave after wave of regressive chapters. They have no idea, but you do. 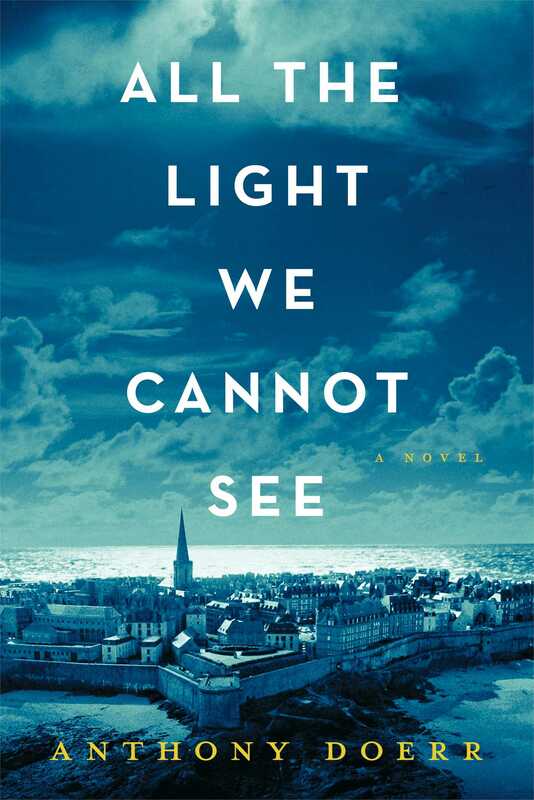 You know that the rare diamond the blind girl’s father helps smuggle away from the Nazis and the boy’s tutoring in radio triangulation are leading them to those basements in 1944 and that somehow they will emerge from those basements and find each other. And the prose is beautiful. Really, really beautiful. But it feels remote, distant. As distant somehow as a French girl reading her brail copy of 20,000 Leagues Under the Sea into a scratchy microphone. A small voice floating through the air from her uncle’s radio transmitter. An iron submarine, alone beneath the sea. It feels like that, this book. And when the end comes, it’s not the end. The part you knew would happen happens. It comes and goes. And there’s more. Still beautifully written. Perhaps inevitable. Perhaps necessary. Perhaps. But maybe you wish it would’ve been like the end of 20,000 Leagues: uncertain. Nothing but a vortex and a question. Because you know they’ll meet and maybe that’s good enough.